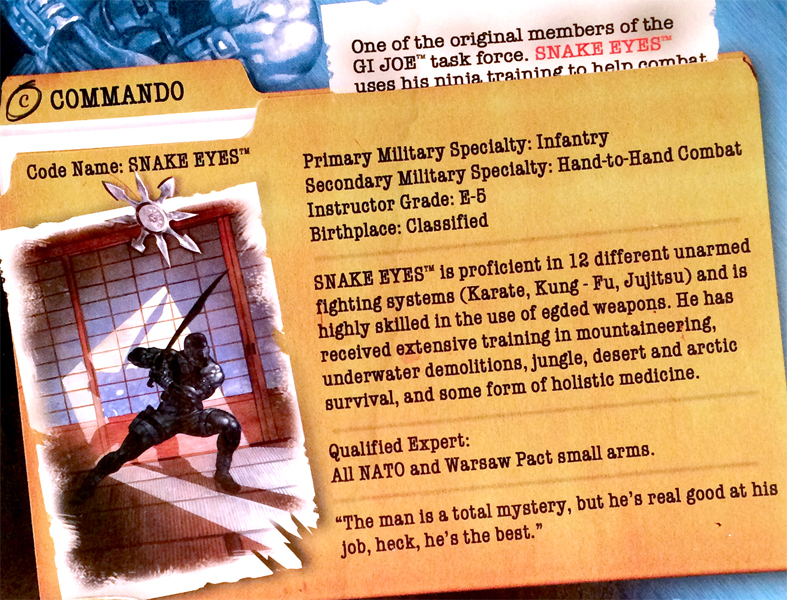 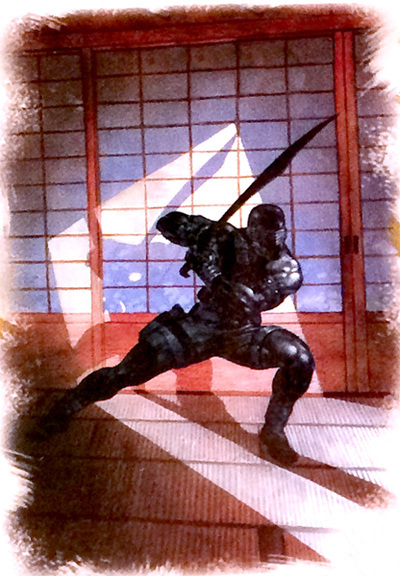 Snake Eyes came with two right arms: one holding an uzi (above) and another directing Timber to the enemy (below). 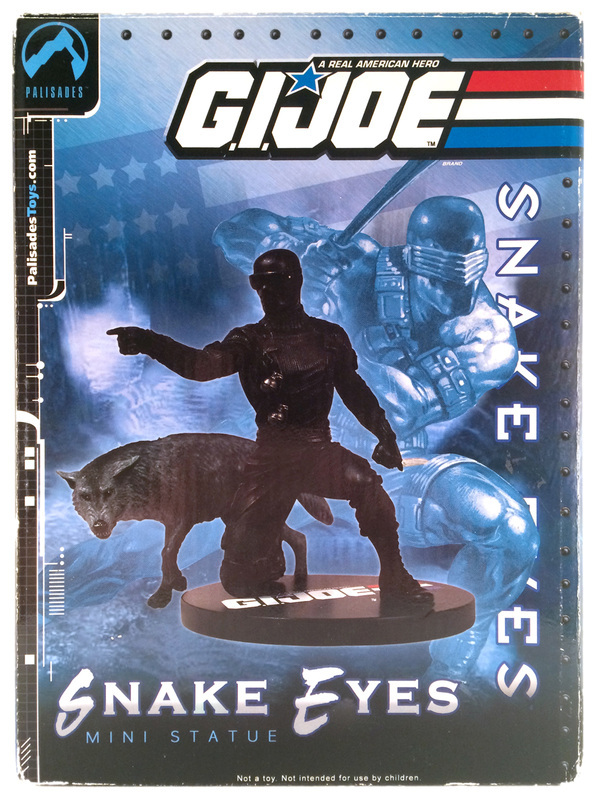 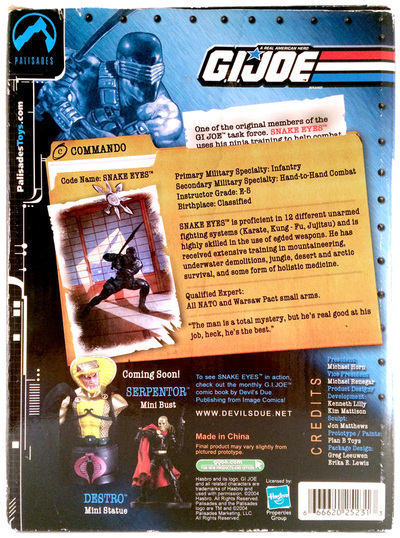 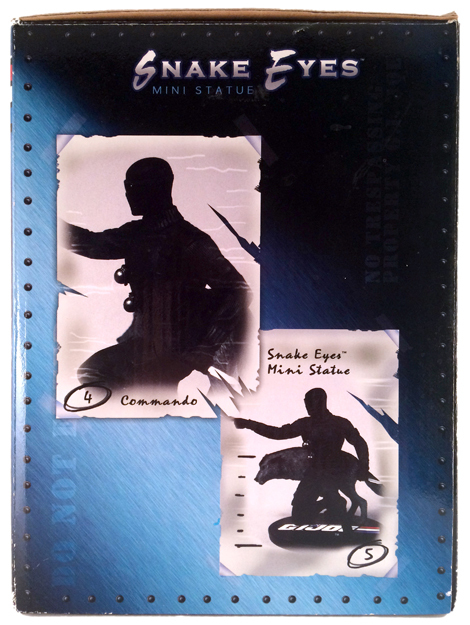 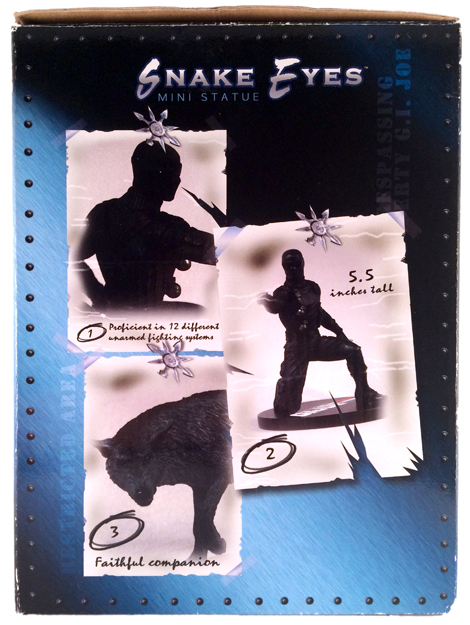 The Snake Eyes mini-statue was limited to 852 pieces. 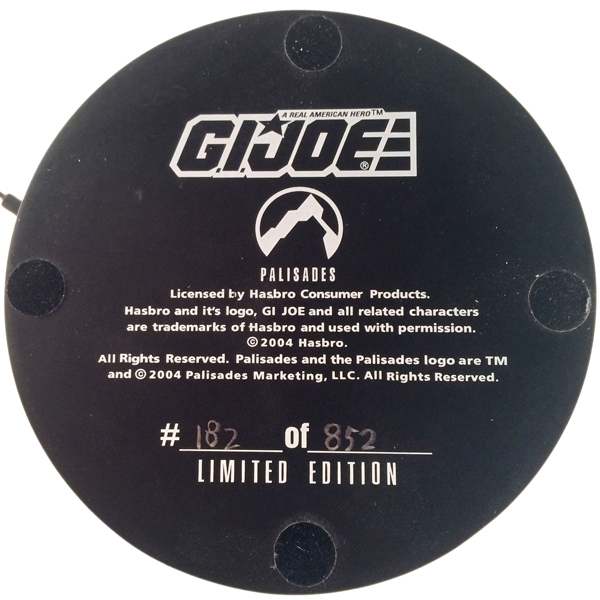 Mine is #182.